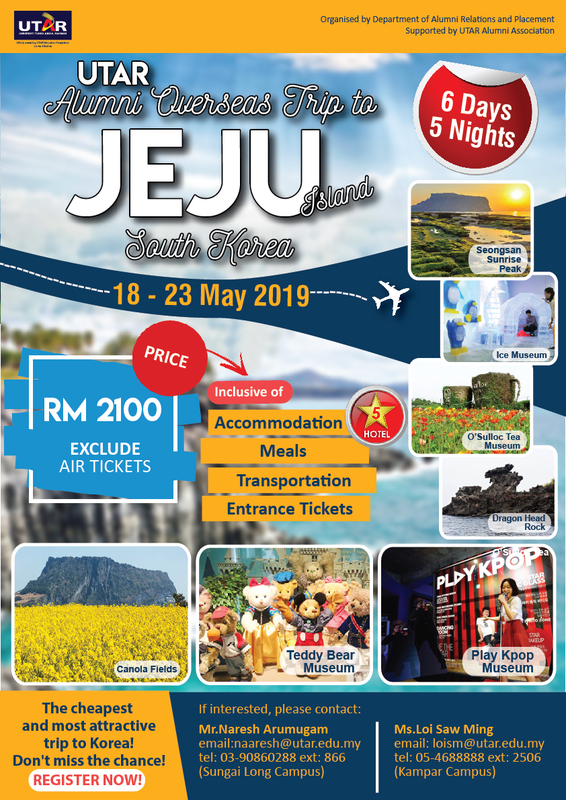 The Department of Alumni Relations and Placement (DARP) would like to organize an overseas trip to Jeju, Korea and the targets are mainly alumni, students and staff. 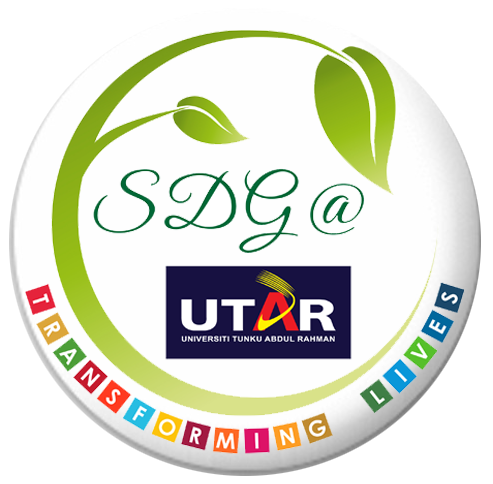 This trip would be a wonderful journey for all because it aims to create a strong and lasting bond among all UTARians. Jeju Island is located in Jeju Province, South Korea. The island is a natural World Heritage Site and is also known as the "Island of the Gods". It is a popular vacation spot for Koreans and foreigners. This would be a five nights and six days trip to Korea with the lowest cost, guaranteed. Thus, don't miss the chance. Please find attached the poster and registration form for more information. Department of Alumni Relations & Placement.